I just received an email from e-artnow that included all these job listings and other opportunities. Have at it. and Design is looking for a Department Head (listing below). Various job opportunities at the Guggenheim Museum: NYC, USA.Deadline: asap. Current available positions at The Museum of Modern Art, MOMA NYC: NYC, USA.Deadline: asap. Current available positions at The Whitney Museum of American Art, NYC. USA.Deadline: asap. Current available positions at the TATE. UK.Deadline: asap. Current available positions at Christie’s. Worldwide. SFMOMA (San Francisco Museum of Modern Art) current Opportunities. USA. Victoria and Albert Museum: View current vacancies and apply online. University of Glasgow, College of Arts: View current vacancies and apply online. Cincinnati Artswave current Job Opportunities. USA. Association of Midwest Museums current Job Opportunities. USA. School of the Art Institute of Chicago: Current Full-time Faculty Positions. USA. New York Foundation for the Arts: Jobs in the Arts, current vacancies. USA. The Biennale of Sydney, Aboriginal Emerging Curator and Artist Liaison. Australia. Senior Curator British Prints & Drawings, Scottish National Gallery, Edinburgh, UK. Humboldt-Universität zu Berlin, Berlin. Germany. BAWAG P.S.K. 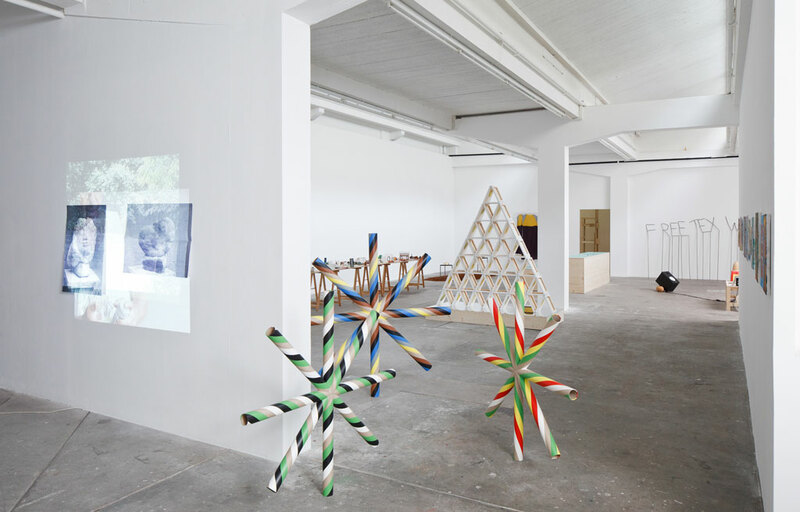 Contemporary seeks Head of Programming 2013–2015, Vienna, Austria. Curatorial Collections Manager (Maternity Cover) at Dulwich Picture Gallery. UK, England, London. Assistant Curator, Museum of Contemporary Art, San Diego, USA. W3-Professur für Kunstwissenschaft/Kunstgeschichte – Universität Konstanz, Konstanz. Germany. successful applicant. Bankside, UK, England, London. Programme Co-ordinator at Turner Contemporary, UK, England, London. / 361 5776) gern zur Verfügung. Germany. University College Ghent / School of Arts : Seeking two full-time artistic assistants. Ghent, Belgium. Kunstgeschichtsstudium an einer Schweizer Universität. Switzerland. in partnership with Limerick School of Art and Design, LIT. IE. UK. Columbia University – Call for Applications: Advanced Photography Intensive/NYC. USA. School of Art and Design. Helsinki, Finland. in Europe. The École du MAGASIN is an independent training program. curatorial practices based on research in the arts, crafts and design. Three Curatorial Fellowships: Contemporary Art Society/Whitechapel Gallery. UK, England, Hull/Wolverhampton/Brighton. eingeladen, sich zu bewerben. CH. 2 Doktorandenstellen im Bereich Kunst-/Architekturgeschichte, Kunsthistorisches Institut der Universität Zürich, CH. PhD Research Funded Studentship: Visual Culture at Loughborough University -School of the Arts, English and Drama. UK. MaHKU, Utrecht Graduate School of Visual Art and Design, Fine Art, Call for Applications. Netherlands. Decompression Gathering Summer Camp 2013 with Karl Seiringer (Wochenklausur). Mucciano, Italy. Artists and researchers are invited in Istanbul for Spring / Summer 2013 term of Halka Art Project Residency Programme. Turkey. opportunity is open to artists based in the UK and internationally. UK. Association and the Republic and State of Geneva. CH. Announcement of competition to select 4 artists for a residency in San Lorenzo del Escorial (Madrid) Spain. Open calls for maumau artist-in-residence program summer term in istanbul / Turkey. Call for Applications for Arts and Literary Arts Residencies at the Rockefeller Foundation Bellagio Center. Italy. Work In Place – Agora Collective Residency Program, Berlin. Open call for ARCUS Project 2013 Artist Residency Programme. Japan. artistic exchanges and interaction. Australia. and curators who share their practices. Beauchery-Saint-Martin, France. join the Artist Village in C-mine Genk (BE). context and socio-cultural issues in Luxembourg. Luxembourg. residency(at)barracaomaravilha.com.br for an application pack / more information. Brazil. 33OC Artist Residency program, Toffia, Italy. University of California, Irvine: Artists in Residence Program in Studio Art. USA. Applications to Nes Artist Residency may be submitted at any time (open call). Iceland. International private Artist Residencies in Budapest 2013. Hungaria. McColl Center for Visual Art’s residency program: ARTIST-IN-RESIDENCE + ENVIRONMENTAL ARTIST-IN-RESIDENCE. USA. Artist in Residency Program, Shanghai @ The Swatch Art Peace Hotel, Shanghai, China. painters, illustrators, curators and writers. Canada. für die Sammlung des Museums relevanten Thema forschen mőchten. München für herausragende Forschungsarbeiten zur Angewandten Kunst. research in tandem with exhibition planning. USA. issue 3(3), Fall 2014. Canada. The Franchise – world wide curatorial open call, apex art, NYC, USA. Call for Papers – Envisioning the Practive: Montréal International Symposium On Performing Arts Curation. Canada. articles on the subject of curating, exhibitions and display culture. SPEAP / Sciences Po. Call for application 2013: Programme of experimentation in arts and politics. Paris, France. attend Summer of Art. Scholarships available. Los Angeles, CA 90045 USA. part of the City of Brussels. Belgium. Production CCA ’13, Annual open call for emerging artists, Centre for Contemporary Art Derry-Londonderry, N. Ireland. Artangel presents an initiative for new site-specific commissions across the UK. across all disciplines to be held at Schwartz Gallery in London. UK. artists. Applicants must be practicing visual artists. USA. submitted pool of work each year. Minneapolis, MN 55414 USA. Call for Proposals: The Milka Bliznakov Research Prize of IAWA – International Archive of Women in Architecture Center. USA. upheaval and violent conflict. London, UK. Call for Application: Sound Development City, Summer Expedition 2013. Lisbon, Marseille. be submitted from March 11 on; the deadline is May 12, 2013. Germany. June – 28th July at neo:gallery Bolton, Greater Manchester, UK. and 36 years old). Valencia, Spain. Projects’. Experimental projects are particularly welcome. London, UK. which the works will tour Europe during 2014. Finland. surroundings from 20th September to 19th October, 2014. Sweden. whose forms consist of ephemeral situations. Berlin, Germany. according to the individual exhibitions and projects. UK. Donegal Public Art Office: various opportunities for public art. IE.